Wet & dry vacuum cleaners are very popular in today’s market. However, just like most other home appliances and tools, there are many, many choices at your disposal. This can make finding the right vacuum a bit of a challenge. 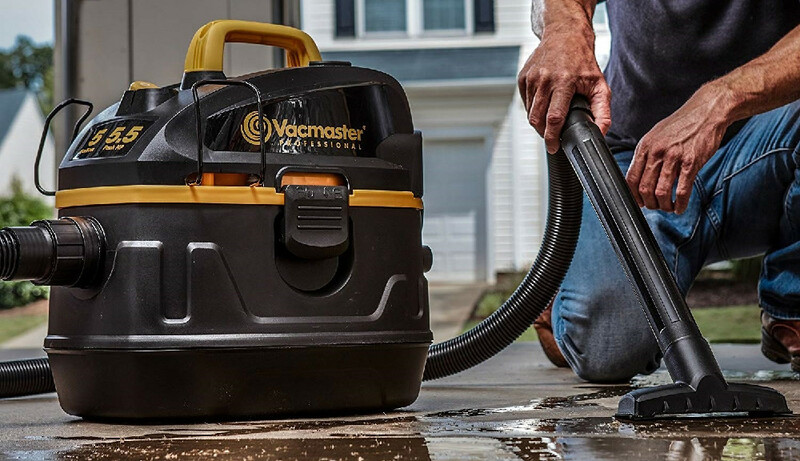 In this buying guide, you’ll learn the features and aspects that you must look for and take note of when searching for a wet & dry vacuum. You’ll also learn the benefits that such a vacuum can give you. As well as the kinds of things these vacuums are good for. What Is A Wet & Dry Vacuum Cleaner? So, How Does A Wet & Dry Vacuum Work? What Are The Benefits Of Using A Wet & Dry Vacuum Cleaner? How Do I Choose The Best Wet & Dry Vacuum Cleaner? How Much Does A Wet & Dry Vacuum Cleaner Cost? How Do You Maintain A Wet & Dry Vacuum? What Is The Difference Between A Wet Vacuum Cleaner, And A Dry Vacuum Cleaner? Can I Use A Regular Vacuum Cleaner For Water? Do Wet & Dry Vacuums Clean Carpets? Ultimately, a Wet & Dry vacuum isn’t that much different from a regular vacuum. It looks somewhat similar. It sounds similar. And it seems – key word being “seems” – to function in the same way. However, this isn’t entirely correct. On the surface, it is very similar, but if you look deeper, you’ll find that there are two key differences. One of the most notable differences, in comparison to regular vacuums, is the suction of a Wet & Dry vacuum. 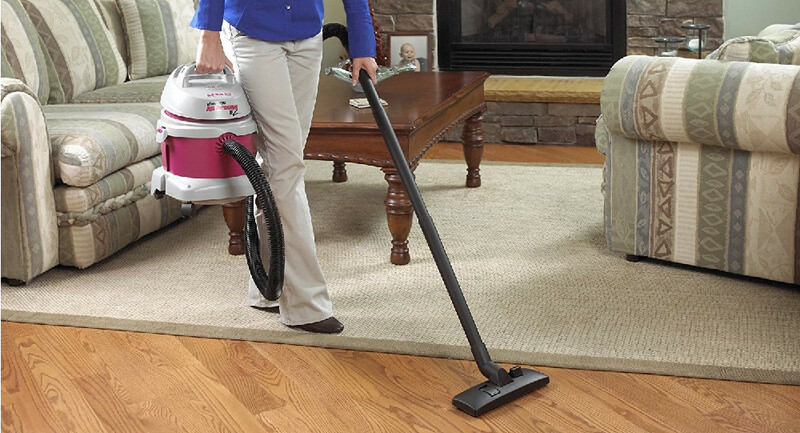 With a Wet & Dry vacuum, you have suction power that is not found in any other vacuum type. Things like large pieces of debris, screws, nuts, bolts, and even nails can be sucked into the vacuum with incredible ease. No other vacuum can do that; those materials are too strong for the suction of other vacuums. But not a Wet & Dry vacuum. However, the second difference is a bit more obvious. You see, the name “Wet & Dry” refers to this type of vacuum and its ability to vacuum in both wet spaces and dry spaces. If your toilet overflows and there is water on the floor of your bathroom, you can use a Wet & Dry vacuum to dispose of that water just as you can use that same vacuum to clean up a living room coated in dust and pet hair! To put it simply, a Wet & Dry vacuum is a vacuum that works with wet and dry spaces, and that can pick up large, and somewhat dangerous, pieces of debris. You have three main components that form the “foundation” of a Wet & Dry vacuum. These components are as follows: the motor, the collection chamber, and the hose. The motor is, usually, on the top of the unit. Sitting comfortably on the collection chamber, which is connected to the hose. Using the motor, a fan is powered, and this fan is located within the collection chamber. Now, the hose is attached to the collection chamber, so the fan works to draw air through both of those components. When air passes through the collection chamber, it doesn’t gain any momentum or speed, due to the size of the space. But, when it passes through the hose, which is quite narrow, it gains speed, which creates powerful suction. When the air returns to the collection chamber, with the debris that has been picked up, it loses speed and drops it right into that chamber. Then, the air is ejected through the vents on the top of the collection chamber. Versatility and flexibility are the main benefits that a Wet & Dry vacuum cleaner offers. First off, you can pick up all kinds of debris. Along with dust and pieces of wood and pet hair. But, you can also vacuum up water, as well. Second of all, many people swear by their Wet & Dry vacuum because it has made cleaning up things like overflooded bathrooms or basements much easier. And yet, a Wet & Dry vacuum also fulfills any other vacuuming task you might have in mind. 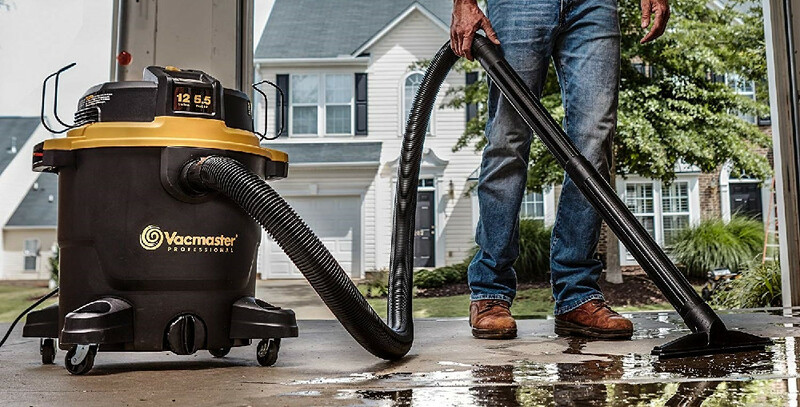 With a Wet & Dry vacuum, you have both the versatility, and the flexibility, to clean up any kind of debris, regardless of whether it is wet, or dry. There is also the matter of affordability. Wet & Dry vacuums are very inexpensive. Now, if you’re going for a bigger model with a greater capacity, then that will cost you a bit more money. But, even then, the prices are very reasonable. Just like buying any other vacuum, you need to ask yourself some questions. First off, what am I going to be using this vacuum for, specifically? What kind of capacity do I need? What spaces am I going to be cleaning the most? What’s my budget? Questions like that are a great starting point. Asking those questions narrows your focus, and enables you to understand the intricacies of what it is that you are buying while understanding what it is that you want, too. Ultimately, it comes down to knowing what you want. And this buying guide will help you with that! Prices vary between models. But, on average, you’re looking at the cost of fifty-dollars to one-hundred and fifty dollars. Sometimes more. Sometimes less. But, ultimately, unless you’re buying a very fancy Wet & Dry vacuum, you’ll be paying a price that is along those lines. Most of the time, a Wet & Dry vacuum will measure its power using an “HP” – Horsepower – measurement. Some use voltages as a measurement, but more often than not, HP is used. You’ll want to consider the kinds of debris you’ll be cleaning on a regular basis. If, for the most part, you’re just doing traditional vacuuming with the occasional heavy mess, then a 3 HP vacuum should be more than sufficient. But, if you’re going to be cleaning more heavy messes on a regular basis, then you should look for a 4 – 5 HP. This is for things like nails and screws and bolts, along with water leakages, and big pieces of debris. Now, if you’re going to be cleaning even bigger things, you’re going to want a decently sized collection chamber and a rating of around 6 HP to 9 HP. Naturally, the price does go up, but it’s worth it. Models with this level of power are far more efficient than those with less power. All of this information can be found on the product page of the vacuum that you are looking at. Sometimes, you’ll have to do a Google search or click on the link to the manual of the product to find this information. If you’re going to be cleaning up bigger messes, you’ll need a decent-sized collection chamber. Smaller Wet & Dry vacuums have collection chambers that can carry around 5 gallons worth of debris. Bigger models can go up to thirty – and even forty, for more expensive models – gallons. Chances are, you won’t need this much, but if you do, it is certainly an option. Now, the best way to decide this is to consider the kind of space you are vacuuming, as well as the kind of debris you’re vacuuming. 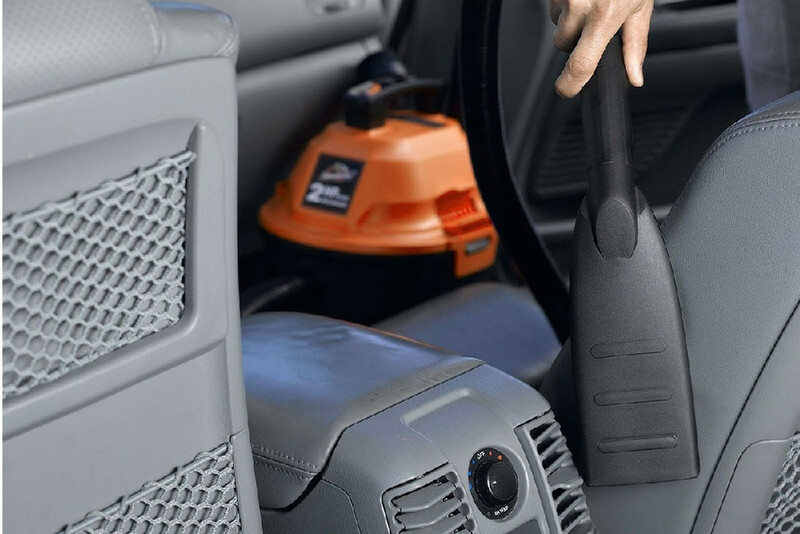 If you’re vacuuming a big space, then you probably don’t want to be constantly stopping and emptying the collection chamber. Especially if you’re cleaning up water, which can be VERY heavy when it’s just sitting in that chamber. For big spaces, 14 to 22 gallons should be more than sufficient. For regular spaces and regular-sized debris, 10 gallons should be more than enough. Even 6 to 8 gallons may be just right. Vacuum cleaners make noise. Wet & Dry vacuums make noise, too. A lot of noise. Usually, more noise than the average vacuum cleaner. Some Wet & Dry vacuums are smaller, so they make less noise. But, you are sacrificing power and collection chamber capacity for less noise. If the noise level does bother you, though, there are two simple solutions. The first is to find a Wet & Dry vacuum that is designed for quieter operation. There are many of these on the market, today, and while they can be expensive, they may be a good investment. Regarding power, they are usually the same as the equivalent models. They just happen to cost a bit more. The other option is to invest in a good pair of earplugs. This is the option to go with if you don’t want to pay the extra money for a quieter model, or you don’t want to sacrifice power and go for a cheaper one that is a bit smaller, but quieter. Since a Wet & Dry vacuum works with two main types of material – wet material, and dry material – two main types of filters are used. For water and other wet materials, a foam filter is used. For most models – although, this is changing with the newest models – the vacuum will come with two types of filters. When you need to clean water, you’ll take out the filter for dry materials, and put in the foam filter. Now, this could be seen as inconvenient, which is why manufacturers are trying to streamline the process. But, for now, this is how it is. When you’re cleaning dry materials, then you’ll need to use a paper filter. These filters are, usually, easy to replace, if necessary, and you can find them at any hardware or home appliance store. All for a very nice price. While it is true that Wet & Dry vacuums are somewhat bulky in their appearance, they’re quite versatile. On the bottom of the vacuum, some wheels enable you to push the vacuum around with incredible ease. They also usually have a handle, on the top of the vacuum, to make it easy for you to take it up and down stairs. Along with that, due to their shape, which is almost spherical, yet compact, they can be easy to store. However, some of them do weigh quite a bit. This all depends on the overall capacity of the vacuum, though. If you’re purchasing a Wet & Dry vacuum with a capacity of five-gallons, then it won’t be too heavy. But, if you’re purchasing a Wet & Dry vacuum with a capacity of twenty-five gallons, it will be pretty heavy. Overall, though, the design of most Wet & Dry vacuums is portable and fairly mobile. The weight is the primary consideration and detractor when it comes to the overall mobility. If you’re going to be taking the vacuum up and down stairs, for example, on a regular basis, then make sure that it has a good handle. Most Wet & Dry vacuums come with at least one or two accessories. This is nice because it extends your functionality and what you can do with the vacuum. For this reason, it’s always good to make sure that you are buying a Wet & Dry vacuum that comes with an accessory or two. At least one or two important accessories. Some good accessories to take note of are things like extra-long hoses, some extra filters, a crevice tool – this is very useful – and even a tool holder. At the very least, make sure it comes with the filters that are needed – these aren’t accessories, necessarily, but some Wet & Dry vacuums don’t come with these necessities – and make sure that they have a second hose that is, ideally, longer than the main hose, and a crevice tool. With just those things, you’ll be good to go. Some Wet & Dry vacuums come with hoses that are four-feet long. Others come with hoses that are ten feet long. Some come with the main hose that is five-feet long, while also coming equipped with a second hose that is nine-feet long. Ideally, you want to have two hoses: one that serves as the main hose, and another that serves as an extended hose you can use for specific occasions. Sometimes, you’ll need to reach a space that is just too far away, or too secluded. In those instances, it’s nice to have that extended hose. Along the same lines, if the space you are cleaning is both far-away and tight, a crevice tool is incredibly helpful. Regarding a specific hose length, having the main hose that is 4 feet long should be more than sufficient. For an extension hose, at least 6 feet, but 9 is more than ideal. You maintain a Wet & Dry vacuum the same way you maintain any other vacuum. First off, store it in a good place. Make sure that it’s in a safe place, and that nothing can happen to it. Take the time to wipe it down and clean it, every so often. If you’ve been vacuuming up water, make sure to empty the water out when you are done vacuuming. Failing to do this can lead to the buildup of water. The same goes for debris. Just make sure to empty it out after you’re done. When the filters need to be replaced – or rinsed, depending on the kinds of filters you have – then replace them. This is all very basic maintenance. But if you perform this maintenance, you will be rewarded with a Wet & Dry vacuum that will serve you for many years. Ultimately, these differences are pretty simple. First off, a wet vacuum cleaner is designed for the sole purpose of cleaning up debris that is wet. It is also designed to work within spaces that are damp. Other vacuums don’t have this functionality, due to the technology that they use, which does not work with wet spaces or debris. Due to the more old-fashioned/non-electronic nature of most Wet vacuums and their components, it is far more conducive to the process of vacuuming up and working within wet spaces. There is also the usage of a foam filter, which works very well in gathering up those smaller pieces of debris, from the water that is being vacuumed. So, if you’re sole intention is to vacuum up water and to work with spaces that, for example, have been damaged from flooding or rainfall, then a Wet vacuum is perfect for those purposes. A dry vacuum cleaner is the exact opposite. It’s designed to work within spaces that are dry and to clean up debris that is dry. Most stick vacuums are almost exactly like this. Things like dust and wood chippings and pet hair are a dry vacuums specialty. But, wet debris isn’t. Often the suction for these vacuums is not, in any way, conducive to sucking up wet debris. With a Wet & Dry vacuum cleaner, you have access to both of those modes of cleaning. This is, obviously, very convenient, and that is why so many people are choosing to purchase these particular vacuums. To put it bluntly, no, you really can’t. If you choose to do so, there are a couple of things that might end up happening. The first is that you might end up short-circuiting the vacuum, or damaging the fan of the vacuum. This is because vacuuming up water does take a great deal of force, which can lead to either the short-circuiting, or damage to the fan. The second thing that might happen is that might get into the bag or dustbin, depending on what your vacuum has, but the water would likely seep into the other components, which could either clog it or damage it. The third thing that might happen is very simple: you might create a fire hazard. If water gets into the internal components, it can easily fry the wiring of the motor, for example, which can easily lead to a small fire. Regardless of any of those things, the end result is exactly the same: a vacuum cleaner that is now completely useless. Vacuuming up water with a regular vacuum cleaner is not recommended. Especially not with a modern vacuum, since they rely so heavily on electronics. They do! Especially if you use some basic carpet cleaning detergent. Now, they may not be as effective as a regular carpet cleaner or stick vacuum, but they can easily pick up any kind of debris. If you use some kind of detergent, stains can also be removed very easily. You don’t need to use detergent, though, for basic cleaning. Without the carpet cleaning detergent, a basic cleaning will easily remove all of the dust, debris, and dirt that is on your carpet. Wet & Dry vacuums are great! They are versatile and flexible. They let you clean just about anything. They are affordable, and there are many options available to you. Due to their popularity and presence in today’s vacuum market, no matter what needs you have, there is a good Wet & Dry vacuum just for you! One that is affordable, easy to use, mobile, and very powerful!